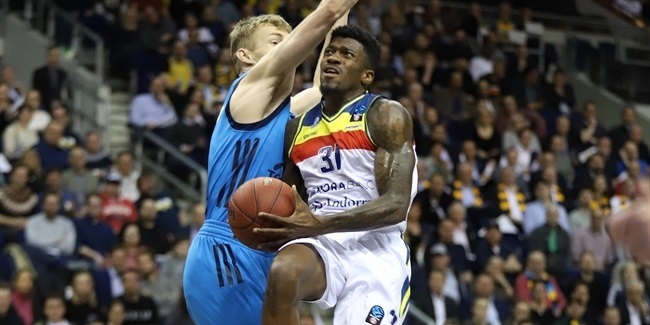 Whenever Zenit St. Petersburg tried to get back into its home game against MoraBanc Andorra, it seemed the guests answered with a big three-pointer. 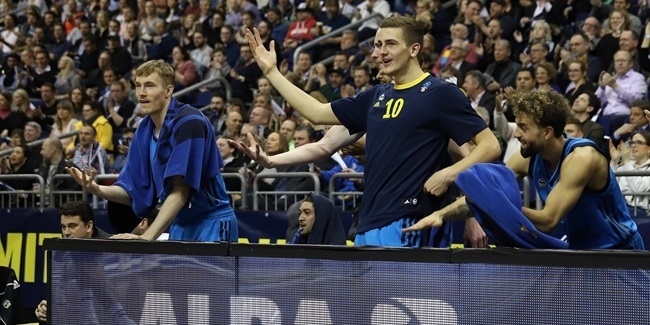 And those long-range shots left MoraBanc as the only undefeated team in Group H of the Top 16. Coach Ibon Navarro's team from the Pyrenees tied its EuroCup season high with 13 made three-pointers in its 71-80 victory over Zenit. Six of those came with MoraBanc either trailing or up by 4 points or fewer. Dylan Ennis nailed 4 three-pointers in scoring 19 points – 1 point off his career high. John Shurna's 18 points were also 1 shy of his career high and the big man knocked down 5 threes. 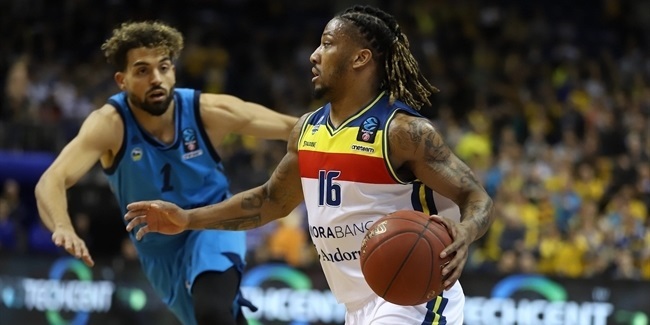 MoraBanc connected on 13 of its 32 shots from behind the arc (40.6%) to match the 13 triples the team made in its 103-95 victory at home over ratiopharm Ulm in Round 4 of the regular season. With all the threes falling against Zenit, MoraBanc did not need another big scoring night from Andrew Albicy, who settled for 10 points from 5 shot attempts to go with 7 assists after scoring 22 and 21 points, respectively, in the first two games of the Top 16.